The Zanussi ZCV68010WA cooks and boils in no time. The ideal hob for busy people! The quick-reacting induction hob heats up fast to speed up your cooking. 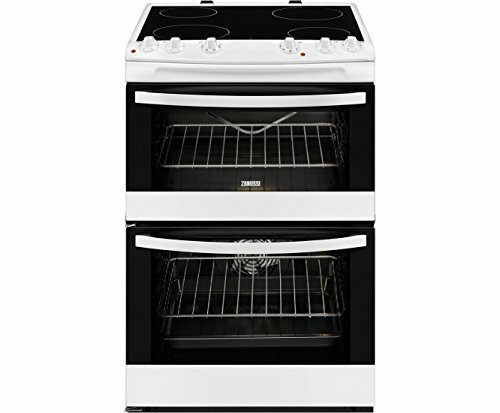 The Thermaflow fan oven heats your oven through evenly, so it doesn't matter where you place your dish, you can be sure you'll get perfect results.Get twice the cooking capacity with this flexible double oven - This double oven gives you the flexibility you need to prepare larger meals. The two oven cavities make it easy to bake and grill simultaneously. Added capacity for every occasion For those occasions when you need to cook for visiting family or friends, this larger baking tray matches your larger oven. It's 25% larger than the standard size.